YOUR GOWN IS EXPERTLY CLEANED, HAND FINISHED AND PLACED IN A SPECIAL LONG BAG FOR TRANSPORT AND STORAGE. 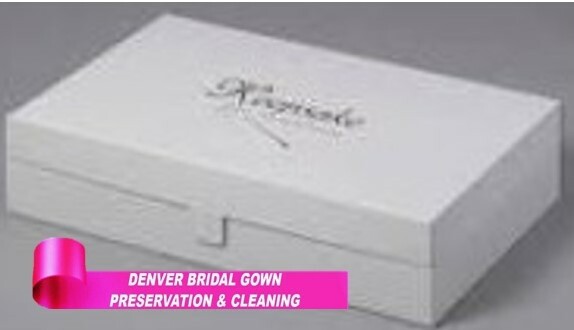 Your gown is expertly cleaned, hand finished and carefully placed in our specially designed bridal gown storage box. This package is not a substitute for preservation packaging. 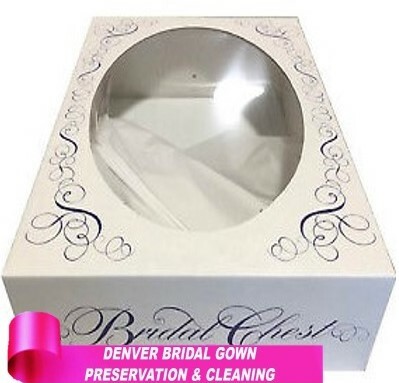 Silver Premium Cleaning Service, Hand Finishing and Preservation with your gown carefully placed in our extra large acid neutral preservation box designed for larger and fuller gowns. PLACED IN AN OUTER CARTON PROVIDING EXTRA PROTECTION. 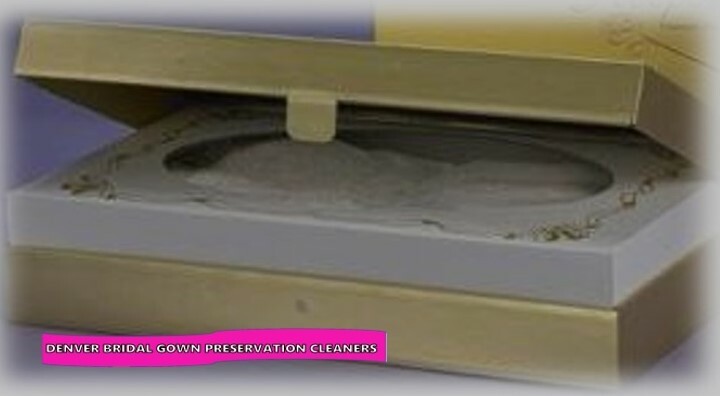 YOUR GOWN IS EXPERTLY CLEANED, HAND FINISHED, THEN CAREFULLY PLACED YOUR ELEGANT GOLD ACID FREE HEIRLOOM BOX. THE BOX IS SEALED, AND PLACED IN AN OUTER CARTON PROVIDING EXTRA PROTECTION.